Wine of Italy. Suitable for vegetarians. 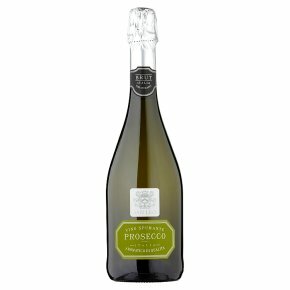 Prosecco - White Italian Wine Prosecco is a very popular Italian sparkling wine enjoyed in Venice and all over the world. Its aromatic bouquet, fresh fruity flavour and gentle mousse make it an ideal aperitif for parties and everyday celebrations. Just add some fresh peach juice to enjoy a delicious Bellini cocktail.